What is a Mitchell Crane? A Mitchell Crane is not just a repair and painted Link-Belt crane, or an American Crane,it is a top brand crawler which has been meticulously rebuilt at one of our two facilities using a mixture of new Mitchell Crane precision aftermarket parts, new OEM parts, new OE parts and Mitchell Crane precision rebuilt components in order to produce a reliable machine which will work hard for years to come. 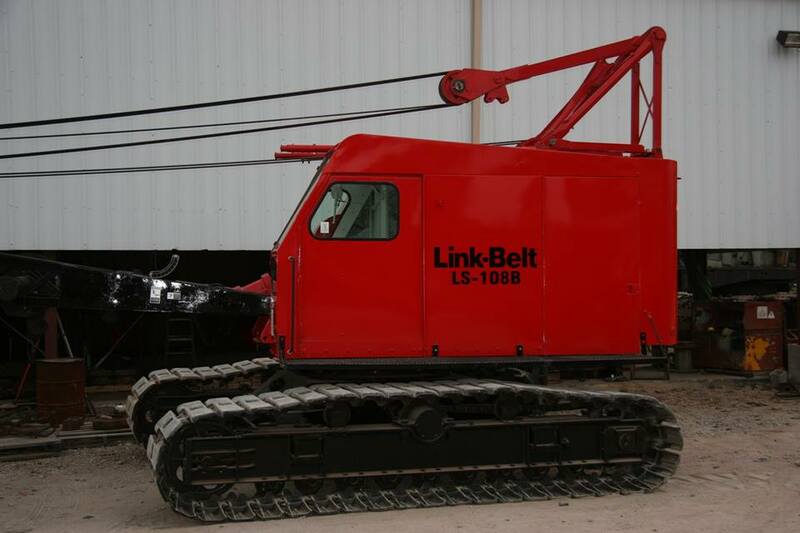 There are many reasons to go with a rebuilt crane versus a new one and at the top of the list has to be price. You simply cannot buy a new piece of equipment for what you pay for a rebuilt machine. 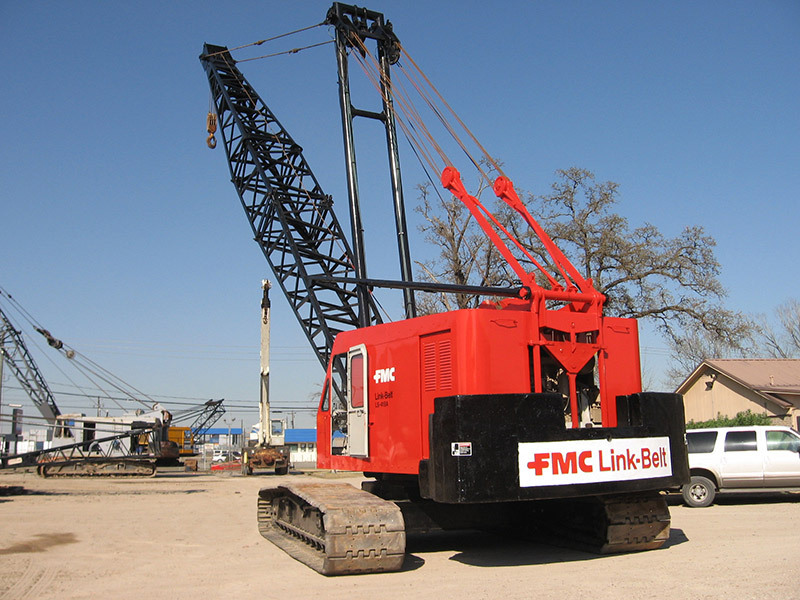 The other main reasons for the purchase of a rebuilt crane are familiarity and crossover parts. Familiarity is more than being comfortable in the operator seat, it is the whole package of knowing what the machine is capable of, how to tear it down for transport and knowing how to fix it when it breaks. The big savings is time, a well trained crew will already know how to get things done because of their experience with other cranes in their fleet which are the same model. 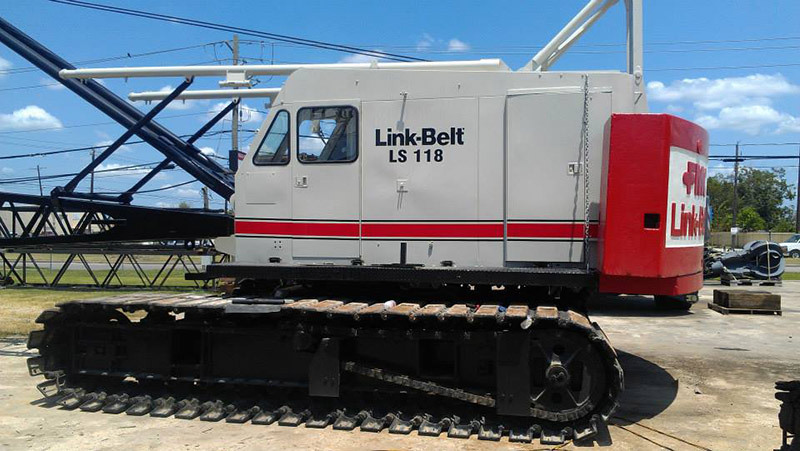 Crossover parts can be a real asset in times of need, if you are expanding your fleet to include similar model machines, your on hand spare parts inventory is much more manageable with fewer parts. If your cranes are the same this means only one type of boom connecting pin, one type of control valve, one type of track pad and so on. Flexible Budget, although we have not mentioned flexible budget, it certainly plays a roll in the rebuilt crane process. Let’s say you need a machine to work on your yard which will not travel very much but must lift heavy loads. 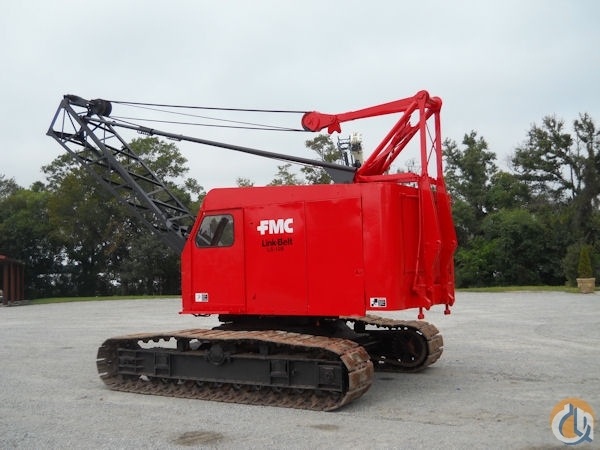 Mitchell Crane helps you find a used machine that fits your lifting needs, upon evaluation of the machine we determine the undercarriage is in decent working order, however for your needs the hoisting system needs to be overhauled. The rebuild process then focuses on what you need and not on what you don’t need. What goes into a rebuilt crane? A rebuilt crane starts as you would think … removing all parts down to a bare frame. During this process every part coming off the machine is evaluated for reuse, repair, or replacement. A lot of parts are automatically placed in the “replacement” category like bearings, brass, nuts and bolts. There are many parts which can be repaired like a bearing block, the block is in good shape but the bushing is wore out, we simply push the old bushing out, clean and paint the bearing block and press in a new bushing. 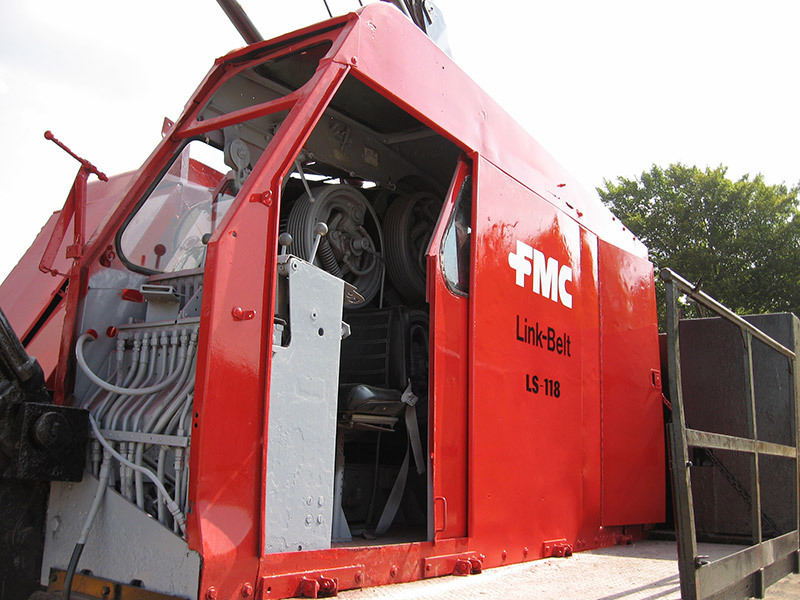 Here is a short list of considerations when rebuilding a crane. 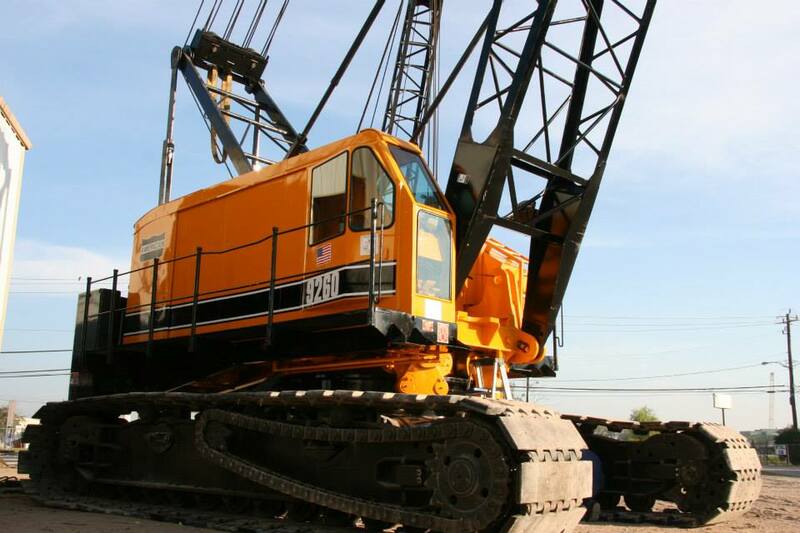 Mitchell Crane has the manufacturing capability and the experience needed to help you find your next machine, buy it and rebuild it to your specifications at a price you can afford.